We welcome Susanne Huch to our team. Susanne worked as research specialist at the Universities of Heidelberg, Arizona and Umeå. She obtained her PhD in at Umeå University. She will join our efforts to understand ribosome dynamics mRNA pos-transcriptional regulation. 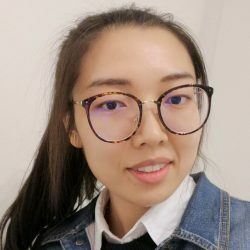 We welcome Yujie Zhang to our team. Yujie studied Viticulture and Enology at the Northwest A&F University (Shaanxi). She was awarded a CSC scholarship to perform her PhD studies at Karolinska Institutet. She will join our efforts to understand mRNA pos-transcriptional regulation.